Are you looking for a tasty meal filled with an abundance of flavor? 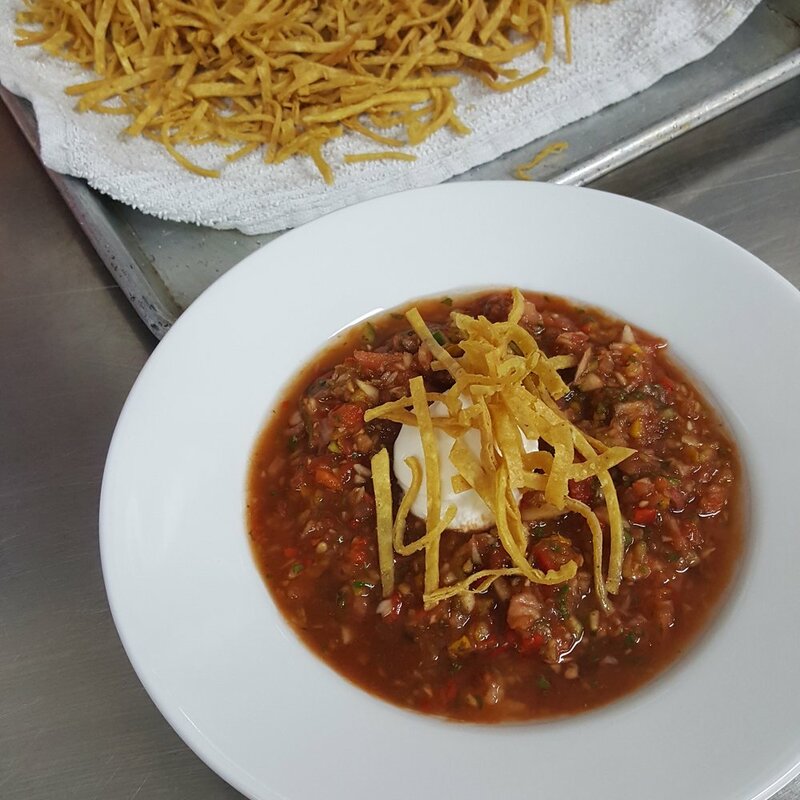 Try our recipes that Chef Randy has whipped up just for you to enjoy! With this summer heat still upon us, try our delicious gazpacho for a chilled soup option. Accompanying the gazpacho will be our Fiesta Con Pollo recipe for a festive chicken casserole. Take your dinner party up a notch with these mouthwatering options! Top with sour cream, frizzled tortillas, or cilantro leaves. Are you wanting to host a breakfast, luncheon or dinner party and need a festive treat for your guests? Try our idea for elevating your traditional fruit tray! By incorporating cookie cutters, you can transform a simple option into a fun and creative design! Here is an opportunity to wow your guests with your attention to details. It requires little work and allows you to display that you have gone the extra mile with your presentation skills! We recommend trying watermelon and pineapple as your featured fruit, but feel free to use your favorite ones! Those are the summer go-to fruits and your guests will surely appreciate the creativity behind your display. Remember to not cut your fruit thicker than the cookie cutter! Dress up your fruit platters with this fun and festive idea for an added detail to your spread! For any catering needs, contact Randy Fuhrman Events at (310) 854-0155! Let us know what you thought about the article in the comment section below! We would love to hear from you! As you guys can probably tell, Randy Fuhrman Events is all about having fun during the Summer and taking advantage of the great weather that offers endless outdoor activities, events, and so much more. So for this week, we wanted to give you, our loyal readers, some fun suggestions for all things summer fun going on right now and for the rest of the Summer. Looking for a fun night out? Going to an outdoor theater is a great way to spice up date night! Enjoy a movie under the stars, with a gorgeous view to set the perfect mood for the film. With treats and drinks to accompany the show, the night is sure to go off without a hitch. Fortunately, there are various rooftops and beach viewing events for both classic and newer movies popping up all around Los Angeles. With a nighttime breeze, these evening show times will be a great way to escape the heat! No matter where you are located in Los Angeles, there are several showings a week to accommodate most schedules. Some venues include downtown LA rooftops and even larger venues like the Hollywood Bowl which feature live orchestras to accompany the films. Bring some blankets and get ready to cuddle up to your loved ones and enjoy a movie overlooking some of the most beautiful and famous spots in LA. 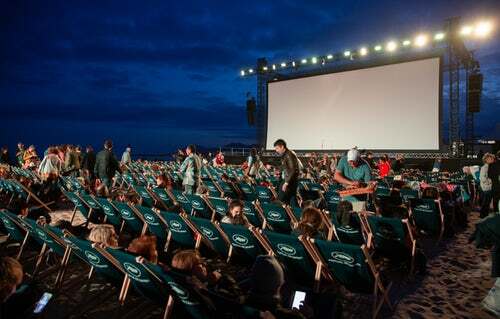 If you are interested in an all day event, head over to the beach and watch the sunset before your screening! These outdoor screenings are currently being held, and they will run through Halloween of this year. Are you a foodie looking for a new way to satisfy your cravings? Then this would be such a fun way to spend a summer night in Los Angeles! The 626 Night Market is an ongoing event in Los Angeles that delivers Asian entrees and snacks in a casual and fun presentation! Whether you are interested in a milk boba tea or the most tasty calamari appetizers, this street market will be able to appeal to any of your cravings. The 626 Night Market has event dates running through the last couple weekends of August, going into September. This event includes a vast array of options for street vendors to showcase their skills and delicious Asian style treats for all to enjoy. From appetizers to the most outlandish desserts, you will be tempted to try a little bit of everything here! In addition to the copious amounts of snacks, the market also provides attractions, music, and live entertainment for all in attendance! This is an opportunity to enjoy a night of entertainment with your friends in an nontraditional setting! The 626 Night Market will be held August 10-12, and August 31-September 2, at the Santa Anita Park. 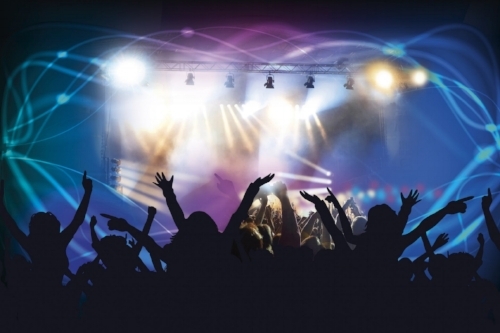 For those dancers and music lovers out there, Dance DTLA is the event for you! Are you interested in learning how to dance to many different styles? This event is such a great option for those wanting to step out of their comfort zone, and give it a try! From Salsa to Hip Hop, Dance DTLA has various DJs playing different music each night to encourage those to get out there and dance your heart out! This is a free event that encourages beginners to experienced dancers alike, to come out and show off your moves. Each Friday night, you will be able to bring your friends out and have a great time, at no expense! Located at Grand Park in DTLA, this event is open to all age groups, and will be held every Friday until September 7th. If you are interested in a stepping out on the LA scene for some drinks and dancing, try this interesting event hosted by the LA Zoo! This summer, the LA Zoo is back with their Roaring Nights event, catering to a 21 and over crowd this year! Get together with a group of your friends to enjoy an immersive experience with some of the zoo animals to start off the event. Afterwards, grab yourself a cocktail and start mingling with your group and the other guests at the event. You will also be able to select some tasty treats from the abundance of food trucks that will be at the event as well. One of the greatest features from the event has to be their silent disco that is put together by various DJs. You will be able to enjoy a stellar night of dancing in a fun and unique setting! This event is great for date nights and group outings alike! Join the LA Zoo for the Roaring Nights event, August 17 or September 14! Summer is an amazing time to take the whole family out to enjoy the fresh fruit that is currently in season! With plentiful options in Oxnard, Camarillo, and Irvine, pick the nearest location near you. When dropping in to the farm, ask for a tour for an added activity! 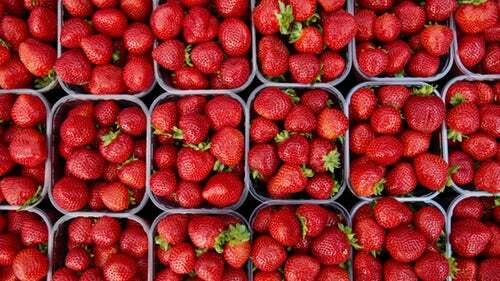 Pick your own strawberries and enjoy a beautiful day outdoors with your family and friends! With beautiful backdrops, you will also be sure to take a great picture to commemorate your trip to the farm! With your fresh strawberries in tow, whip up a delicious dessert or add it to a delectable salad! Incorporate your fresh fruit to one of our favorites recipes for the best sangria! Get creative with how you utilize and enjoy your newly-picked fruit to create the most tasty treats. Visit your local farms any weekend this summer! Summer is the perfect time to utilize your free time and create memorable moments with your loved ones! With our suggestions for the best events in LA, you can satisfy your bucket list for the summer! Be sure to tell us if you enjoyed these tips for a great adventure with your friends or family, in the comment section below! Looking for more ways to have fun this summer? Then check out some of our most recent articles, Party Trends for Summer 2018 or 4 Helpful Hints for A Summer Party.